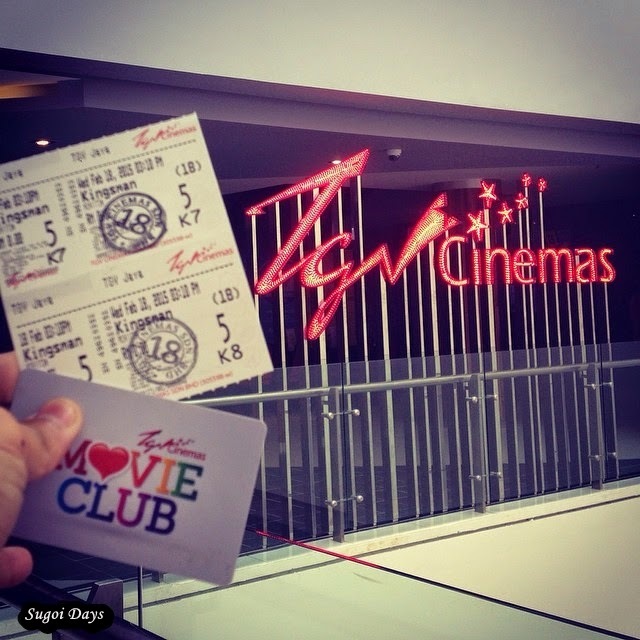 So a day before Chinese New Year, my office gave us a half-day off and my colleague and I decided to watch Kingsmen: Secret Service at the newly opened TGV Cinemas outlet in Jaya Shopping Centre. It was a weekday and half of Petaling Jaya was outstation leading to a quiet mall and even better yet, a quiet cinema hall. The best part was...I didn't have to pay a single thing for my movie outing. Not for my tickets or for my popcorn and drinks. Nadah. Zilch. Zero. Nothing. And it was all thanks to my TGV Cinemas Club membership. 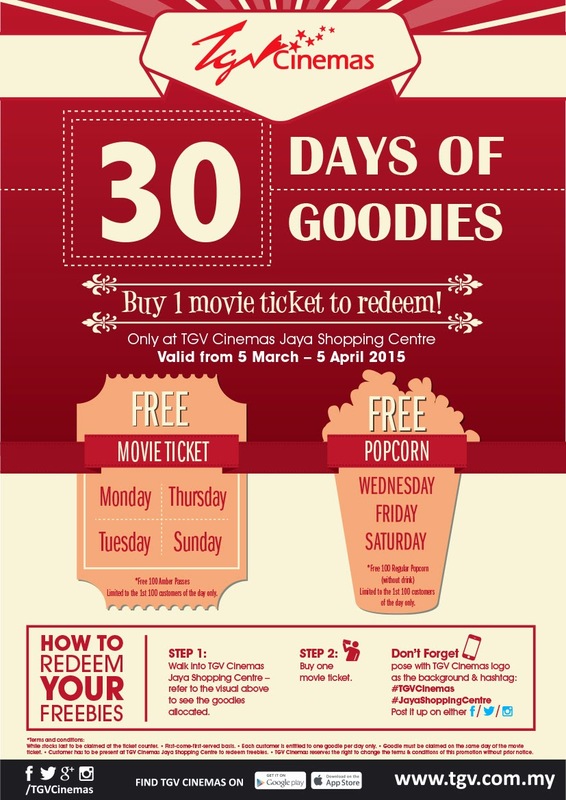 Upon signing up, each members gets a pair of free movie tickets of their choice and a popcorn set. And in one go, I used both. Totally worth it. I felt like I was being rewarded for my love for movies. So I guess that's one way of watching a movie F.O.C. 1. Buy ONE movie ticket. And voila! You're done! If you're one of the first 100 people to do that, then a free movie ticket or popcorn is a done deal! Save it for a 'forever alone' day or spend it on your date, it's up to you. By the way, if you haven't bought your tickets to watch Avengers: Age of Ultron, you can find out how at this link: Avengers 2 Advance TGV Cinemas Ticket.